Working from a home studio, setting our own schedule often causes our days to melt into one another and the idea of a Friday can be so foreign to us. Us meaning Aaron and I. But just the other day I noticed that aside from certain tv shows reminding us of what day of the week it is...my brothers are adding some much needed normalcy to our life! Another perk of the new living arrangements! :) I'm liking it! So in honor of actually noticing it being Friday, I'm joining in on the Friday Favorites fun! 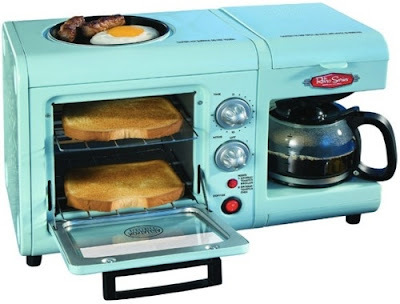 My first fave is this incredibly fun...almost funny lil' retro styled appliance! Is this not too cute? I doubt I'd actually use that top griddly thing...but gosh...the toaster and coffee pot! I LOVE this thing! It's by Nostalgia Electrics. 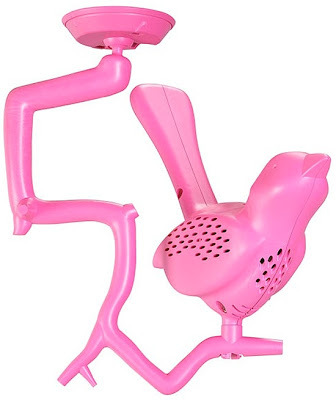 My second fave is this ahh-mayy-ziiing chick-a-dee smoke detector!! Why on earth has it taken this long for something like this to exist? And now that it does how can we live without it?! Darling isn't it? Oh those fabulous Dutch! Ok, now for anyone who grew up in the 80s ...are these fun or what? 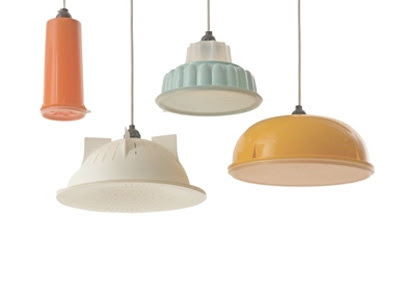 Tupperware pendant lights! LOVE them! If you know me...you know that I adooooore anything almond or coconut scented. 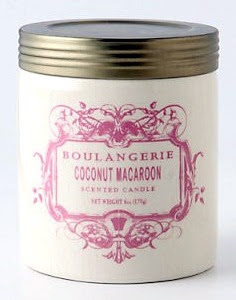 Well oh my gosh I seriously think I have found my fave candle ever! This is just beyond yummy! And the jar is so antiquey and cute! The scent fills the entire livingroom and kitchen when lit! Love it to bits!! So so so good! 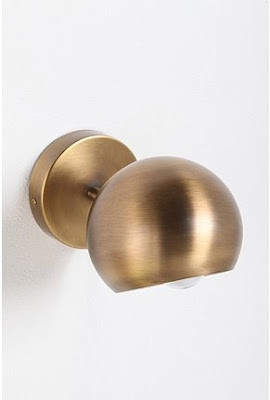 And last but certainly not least...this fabulous Mid Century Modern inspired eyeball lamp! Ahhh I love love love it! Totally on my wish list! Oh gosh this was fun!! Totally going to be a regular thing for me! What are your fave things right now? I'd love to see! Comment with a link! :) Or join in on the Friday Favorites Fun! I have been looking for that gosh darn toaster combo for months now! It's either sold out or so expensive it's not worth it. Oh well. I will keep searching. That would be so perfect for my upcoming wedding registry that I apparently have to make! That smoke detector is AMAZING! I've never seen anything like it. What a fun bunch of finds! The SMOKE DETECTOR is fab! Love, love, love it! Great finds. I love the retro toster/coffee combo. I'm so tired of either black or silver kitchen appliances. I want color!